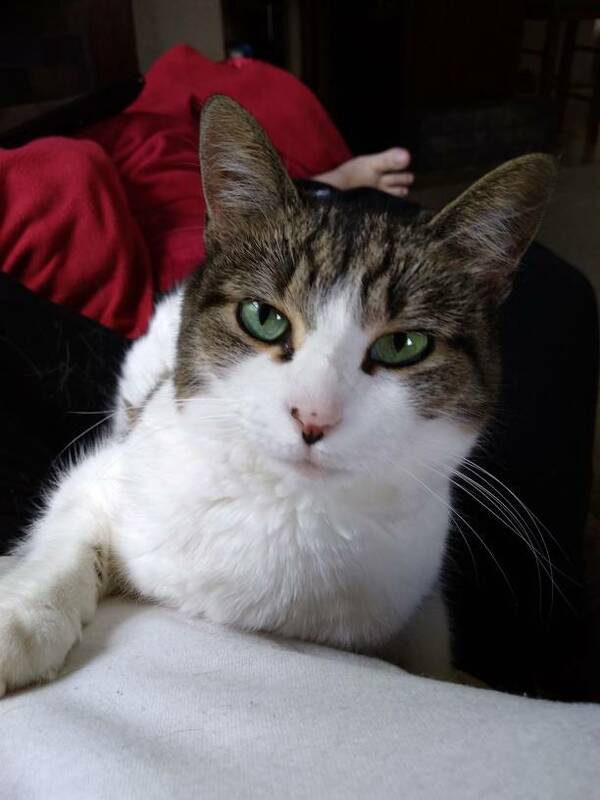 This is Zeda, my 8 year old cat, who decided it would be a great day to cuddle. I don't quite know what type of cat she is, I just know she's the softest and sweetest! Zelda is a beauty, Zorch. Those emerald color eyes are gorgeous!